If there are indignities to be suffered from running afoul of the White House, Woodward’s perceived injury is the least among them. His tantrum, skewered by The Daily Show, might simply be funny were it not for the actual targeting of journalists by the Obama administration. Manning was eloquent in explaining his motives. Disturbed by footage of a deadly aerial attack on Iraqi civilians in 2007, he said, “I wanted the American public to know that not everyone in Iraq and Afghanistan are targets that needed to be neutralized, but rather people who were struggling to live in the pressure cooker environment of what we call asymmetric warfare.” Such a sober meditation on the human cost of US military force is precisely what was missing from the press during the run-up to both wars. Manning’s guilty pleas could mean twenty years in prison, on top of the 1,000 days he has languished in pretrial detention (including more than nine months in solitary confinement, often under horribly abusive conditions). 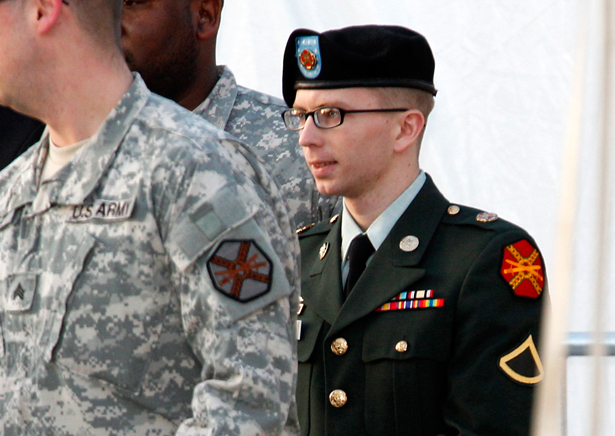 But the worst is yet to come: the Obama administration will now prosecute Manning for the most serious charges he faces, including “aiding and abetting the enemy.” It’s a scorched earth move, designed “to terrorize future national security whistleblowers” and journalists alike, in the words of Harvard law professor Yochai Benkler. It’s also a story that merits deeper concern from the Washington press—the kind of story that in another age might have interested Bob Woodward. The government says Ahmed Ferhani is a terrorist. But, writes John Knefel, Ferhani’s conversations with undercover NYPD police tell a different story.